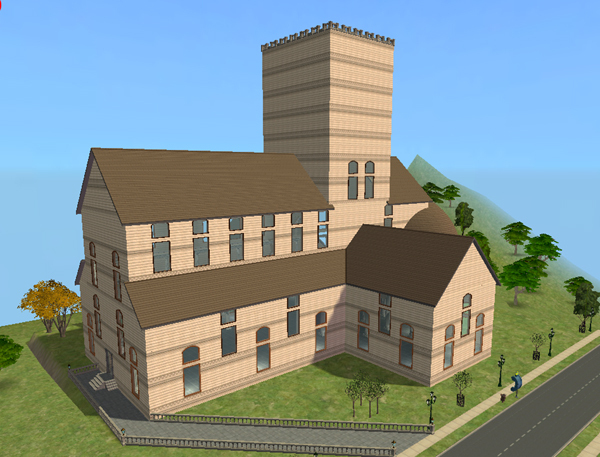 Made with all Expansion Packs to Seasons and will need at least Seasons installed to work properly in your game. 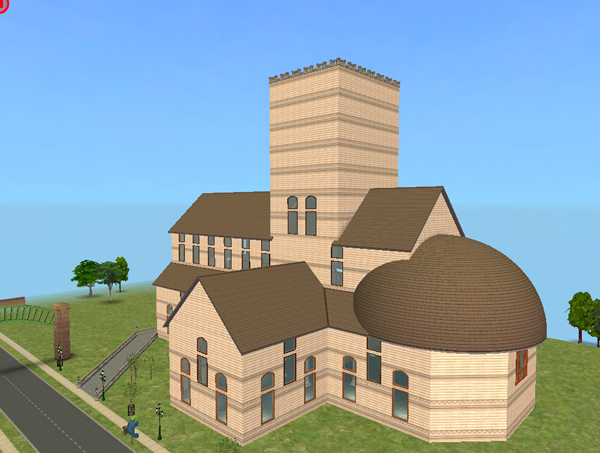 It developed out of my involvement in the Epiphany Cathedral project in Second Life. It uses only EA walls, floors and objects. This is a very large building, on the largest sized lot. It may slow your game down if there are many visitors, on a low-end system. But it does look rather striking in the Neighbourhood. 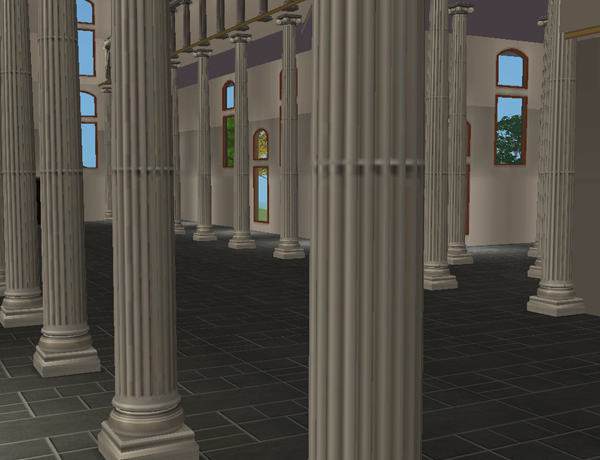 To keep the file size down a bit, it's not furnished inside; you might like to add pews, flowers, tombs etc. 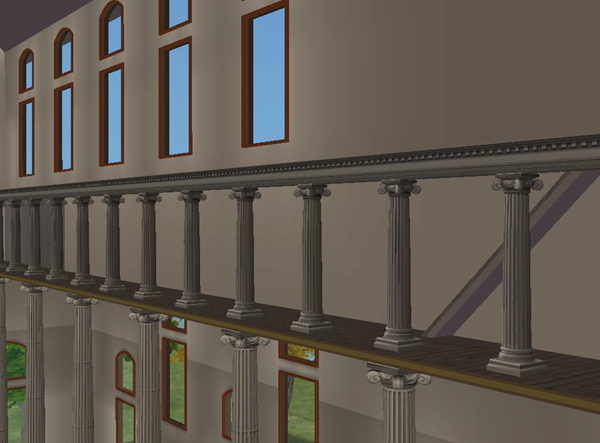 It does have "vices" and a little secluded stair up to them - these are traditionally narrow passageways inside the upper part of the building, allowing priests a view down over the congregation. I have not made stairs up the tower. It is 15 stories high and I don't want the responsibility for your Sims falling off! I also used this Lot as a Residential Lot.